SAN FRANCISCO (CN) – Despite a court order voiding efforts to delay Obama-era student borrower protections, the U.S. government continues to collect money from borrowers who are entitled to automatic debt relief, a consumer advocacy group claims in a new lawsuit. 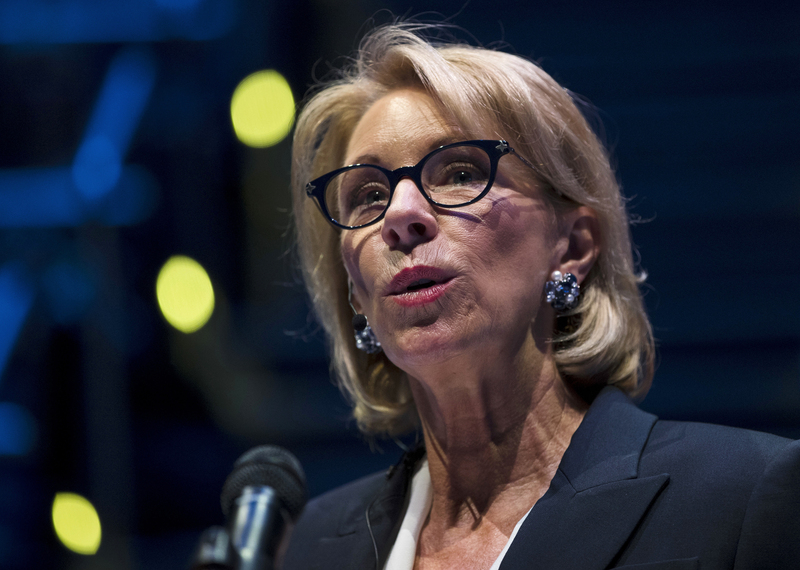 Oakland, California-based Housing and Economic Rights Advocates (HERA) is the latest group to challenge Education Secretary Betsy Devos’ attempts to delay or dismantle parts of the 2016 Borrower Defense rule, which was supposed to take effect in July 2017. “Students who do not complete their educational programs are among the most likely to default on their student loans, leaving them worse off than before they enrolled: stuck with a continually increasing debt load, no diploma, and bleak career prospects,” HERA says in its 16-page complaint. Those affected by the closure of predatory, for-profit schools tend to be members of vulnerable groups, including single moms, immigrants, people of color, veterans, the formerly incarcerated and people with limited incomes. The automatic provision was intended to help borrowers who may not know they can apply for and receive full debt relief. An automatic discharge of debt includes full reimbursement of all amounts paid, a restoration of eligibility for new student loans and grants and removal of negative credit history related to the debt. Since Nov. 1, 2013, nearly 3,600 school campuses closed across the nation, according to Department of Education data. That includes 160 schools in California that shuttered following state and federal investigations of misleading claims about educational value and post-graduation job prospects. HERA claims the department’s failure to implement the automatic provision frustrates its mission of assisting defrauded students and forces it to divert scarce resources to inform borrowers of their rights and to help clients apply for debt relief. “Any HERA attorney time spent assisting an individual necessarily decreases the time that the attorney can spend helping another or advancing its clients’ interests through policy advocacy or affirmative litigation,” the organization states in its complaint. The lawsuit claims the government’s refusal to enforce the automatic provision violates the Administrative Procedure Act. It seeks a court order directing the Education Department to implement the provision immediately. HERA is represented by Julia Campins, of Campins Benham-Baker in Lafayette. The U.S. Departments of Justice and Education did not immediately return emails seeking comment Tuesday afternoon. A representative for the California Association of Private Postsecondary Schools, which sued to block the Borrower Defense rule last year, declined to comment. The Education Department is also appealing a judge’s May 25 decision ordering it to stop collecting debt from more than 60,000 former Corinthian College students who applied for debt relief under the Obama-era rules.